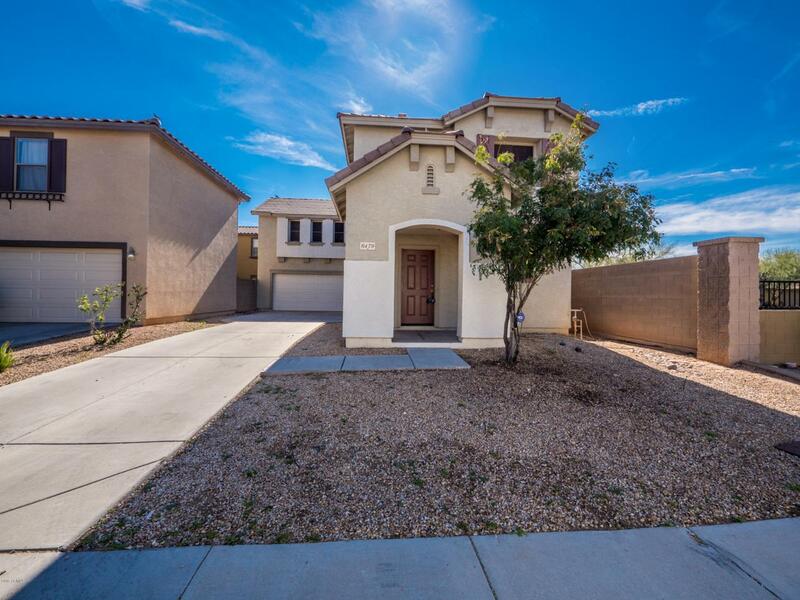 Beautiful Glendale three bedroom, two and 1/2 bathroom, 2 car garage corner lot! Awesome separate dining and living area down stairs with a half bath. Upstairs you will find a huge loft, 3 bedrooms, 2 bathrooms, and a laundry room. Gigantic master walk in closet! Dual climate zone for reduced a/c bills (One thermostat downstairs, one upstairs.) Ample storage space and extended length driveway. This home borders a community desert area! Low maintenance landscaping in the front and back yard. Property just received a full repaint and all of the carpet was replaced with all new wood look flooring. Community pool as well!